Following the news that Philly battle rapper Tech 9 died Monday, his supporters have organized a vigil in Germantown to honor the rapper's pioneering legacy. The official cause of death has not yet been determined, however friends and family are reporting Tech 9's passing was sudden and, according to a social media post by the rapper's father Mark Mickens, "caught us all off guard." Tech 9's real name was Akhiym Mickens. 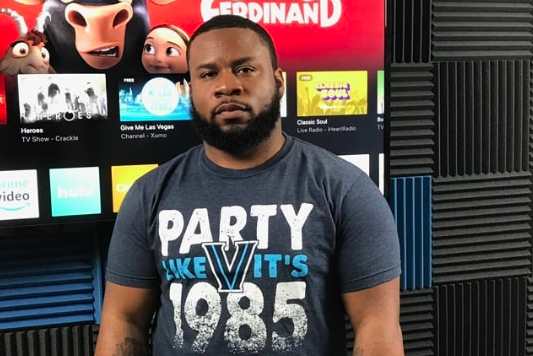 Friend of Tech 9 and fellow Philly rapper Buttah From Da Block first confirmed the news of his death to XXL Mag on Monday morning. He announced on Twitter the vigil will be held at Happy Hollow Playground on Wayne Avenue at 7 p.m. on Tuesday. "I just wanted to say my brother Tech 9 was a true inspiration of change from battling on street corners to one of the most respected analysts ever," Buttah told PhillyVoice on Tuesday. "He will be truly missed. We all took a loss with his passing. Pray for the family. Pray for peace." In a Facebook post, the elder Mickens asked the community for help paying Tech 9's funeral expenses. "It is with heavy heart that I have to come to the facebook community for support in burying my son Akhiym Mickens aka Technine who passed away suddenly on March 25th 2019," he wrote. "The news of this has (devastated) our family and has caught us all off guard. None of us are prepared for death when it calls but have to make peace with it when it happens. I have witnessed a great out pouring of condolences and well wishes on social media from his friends and associates so I ask you all to kindly help in our time of need." Mickens is accepting donations via a Facebook fundraiser campaign. By Tuesday afternoon, the page had already raised more than $3,500. Messages of condolences kept rolling in Tuesday afternoon. Rappers like Kendrick Lamar, Lupe Fiasco and Meek Mill shared on social media about the late rapper's legacy and contributions to the battle rap community. Some of his supporters are even rallying for Philadelphia to name a commemorative street or day in honor of Tech 9. I know to the world battle rap don’t mean much but if you’re a battle rapper reading this tweet..